Expert Communications provides professional marketing services specifically designed for expert witnesses. 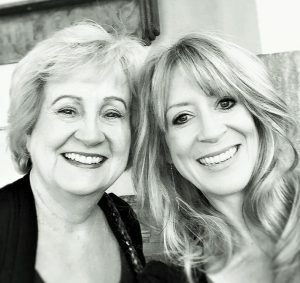 After seeing a need in the marketplace for helping experts with their legal marketing, Rosalie Hamilton founded the company in 2000, and was joined by her daughter, Meredith, in 2003. Expert Communications focuses in three main areas: helping experts clearly express their unique skills and strengths in their field in order to get more cases and increase their revenue; showing experts how to spend less time chasing down money owed to them (a seemingly universal problem among expert witnesses) by setting up better engagement and other financial policies; and protecting their expert clients from “shooting themselves in the foot” by bullet-proofing their CVs, website text, and advertising for statements that could be used against them in deposition and/or cross-examination. And after working with an amazingly wide variety of experts, and helping some clients for nearly two decades, they feel they have the best clients in the world! Avid Dallas Cowboys fan, master wordsmith, and continual self-improver. Rosalie spent most of her career in marketing, sales management, training and publishing, later to discover that she loved applying her skills in the legal world. She had become (and continues to be) a speaker at conferences for all kinds of expert witness associations, and a writing contributor to expert witness directories, newsletters and newspapers, and professional journals. 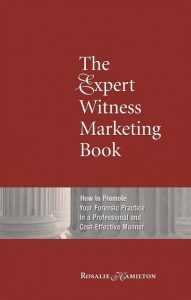 In 2003, Rosalie wrote The Expert Witness Marketing Book. While employed in the 90’s at Texas Lawyer, a legal newspaper in the American Lawyer Media chain, Rosalie spoke at various expert witness conferences, educating experts about marketing their litigation support practice instead of just buying advertisements. After speaking at a SEAK conference in 1999, Rosalie was approached by an orthopedic surgeon, who said, “I appreciate your trying to teach me how to market myself as an expert witness; I just prefer not to do it myself. Can you do it for me?” An idea was born. Witty, artistic, and loves to play in the mud. After earning her BA from the University of Texas at Dallas, she was working at Xerox when she landed unexpectedly in the expert witness world in 2003 when she edited her mother’s book, The Expert Witness Marketing Book. Preferring to be behind the scenes, she researches, writes, and edits, and is the resident techie at Expert Communications, among other duties. When she feels strongly that an expert might be inadvertently hurting their reputation and practice, she’s been known to come out from behind the curtain and get on her soapbox. Meredith is a Board Member of the Dallas chapter of the Forensic Expert Witness Association. “Since the inception of the web site you created about 2 ½ months ago, and the directories you advised me to be listed in, I have received several inquiries from consulting firms and attorneys needing an expert witness in my expertise. Today I received three! I estimate I’ve received about 10 inquiries so far in that short time period, which is a testament to the validity and reliability of your advice about which directories to list with and what terminology to use to maximize visibility. You gave me the extra huge kick to my career and a very professional edge that reflects the rigor of my legal work, and complements the scholarly side of my field.